Unbelievable detail, our designers worked directly with Lucas Film and the artists who crafted the characters for the films. 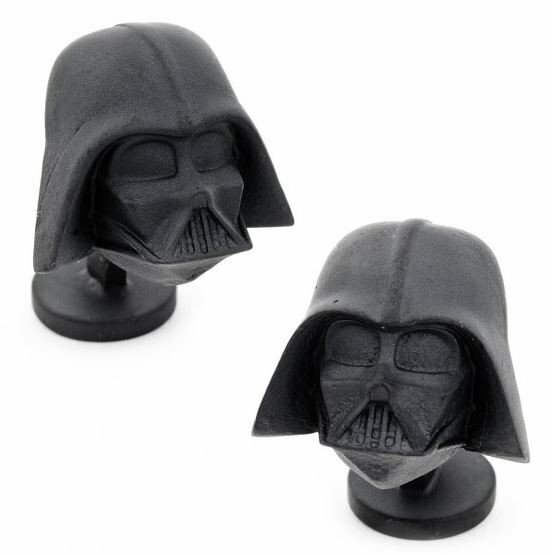 3-D, constructed in a villainous matte black, the Darth Vader Cufflinks are the ultimate Star Wars accessory. Officially Licensed Star Wars Cufflinks. Approximately 3/4"L x 3/4"W x 3/8"H. Matte Black Plated Base Metal With. Fixed Imperial Empire Symbol back closure. Officially Licensed By Lucasfilm LTD.